The Marine is one of the Gungeoneers in the game Enter the Gungeon. The Marine comes equipped with Marine Sidearm, Supply Drop, Military Training, and a piece of armor. The Marine was a guard stationed at Primerdyne R&D when an experiment went awry, unleashing an Interdimensional Horror into the facility. His gun having jammed, the Marine chose to flee in an escape pod, abandoning the scientists and his fellow guardsmen onboard the station to their doom. If the Bullet That Can Kill The Past is used on The Marine, he will be brought back to Primerdyne R&D before he left for the escape pods. Talking to an injured scientist outside the starting room will reveal that there was an issue during a test and "something" has come through a dimensional opening. The scientist says that the escape pods are just down the hall and advises The Marine to leave. If the Marine goes left and then up towards the Lab he will enter to see that other soldiers have taken cover in the room's lower corners. Suddenly, the Interdimensional Horror will emerge out of a portal in the center of the room. If The Marine is able to defeat the Interdimensional Horror, he will be thanked by his fellow soldiers for saving all their lives (except the scientist in the hallway, he definitely died) and honored as a hero. When entering the past, The Marine will have Marine Sidearm and Hegemony Carbine as available weapons, along with Military Training as an item. Defeating the Marine's past will unlock the Galactic Medal of Valor and Military Training for all characters to use. Compared to the other standard Gungeoneers, the Marine has the least variance in playstyle and is relatively reliable in performance. He comes equipped with a piece of armor, which makes him slightly more durable than the rest of the characters. His starting weapon, the Marine Sidearm, has a high clip size and fire rate combined with decent damage output and comparatively high accuracy with a quick reload, making it a viable weapon by itself for the entirety of the first floor and a useful backup even beyond. Military Training provides a notable increase in accuracy and decrease in reload times; provided the player can find weaponry to lend the trait to, it can vastly extend the effective range of some weapons and make some of the slower weapons more viable, particularly powerful bolt-action weapons such as the Hexagun. The increased accuracy can also make most shotguns much more effective at medium to long range, though it is recommended to stick to wider targets at these ranges nonetheless. Supply Drop, if kept until required, is a guaranteed ammo drop in emergencies if the player is low on ammo. The downside is that the player is unlikely to need it until later floors; often, a better active item will drop beforehand and the player will be compelled to drop it or use it immediately. However, more experienced players who are using elevator skips to later floors, particularly the third or beyond, may find the Supply Drop highly useful. Overall, The Marine is an extremely reliable character for combat, but while he receives a bonus to his gunplay, he lacks the special bonuses of other Gungeoneers, such as The Hunter's Dog or the variety of boosts The Pilot receives. However, he remains a highly useful character for players with a steady aim, as his sidearm is easily the most powerful of the standard infinite-ammo weapons and his passive gives him an almost alarming propensity for chewing through rooms with some weapons. He is best used if the player is looking to simply blast their way through the Gungeon, as other characters have bonuses that will help them with quests more. The alternate costume for the Marine is possibly a reference to both Black Iron Armor set and Solaire of Astora in Dark Souls. The Marine's boss screen portrait might be a reference to DOOM's cover art. The Marine's portrait weapon is a close homage to the Pulse Rifle from Aliens. When the Marine faces left, the scar on his right eye will change to his left as the sprite is flipped. 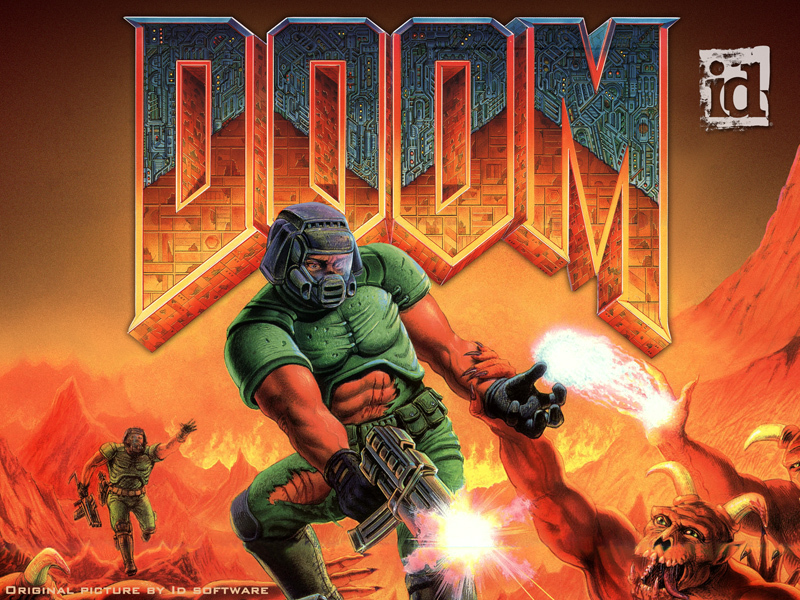 The Marine's past and appearance are based off of the DOOM series. In the pre-alpha, the Marine was called the Soldier. Posters of Black stache appear on certain walls in the marine’s past. The win screen after defeating The Marine's past. This page was last edited on 18 April 2019, at 03:41.